The annual festival is a highlight of the Summer in Milton Keynes and has been running for 15 years at Willen Lake. 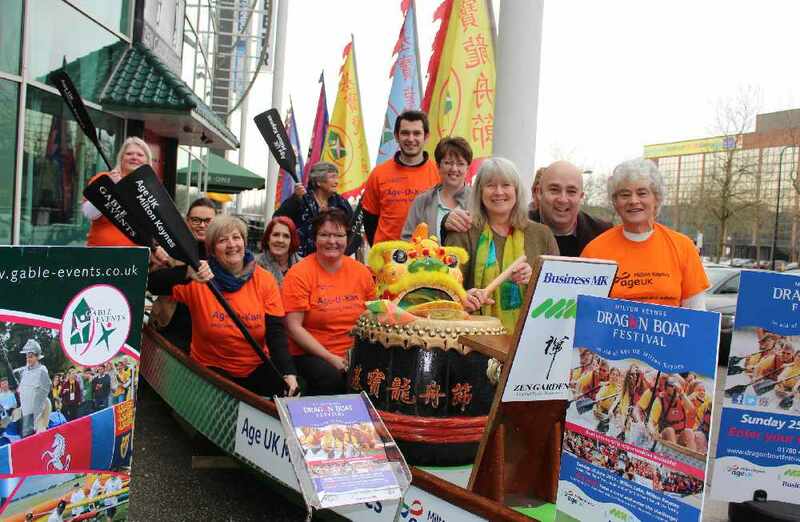 Dragon boat racing is an ancient Chinese tradition and the fastest growing water activity in Britain today - as well as the most fun! Up to 16 people paddle each 40’ boat with a drummer at the front beating time and a helm at the tail steering a straight course. No previous experience is required, just plenty of team spirit! The Milton Keynes Dragon Boat Festival is open to everyone and the crews will battle it out over the 200m race course, watched by several thousand spectators. Willen Lake offers a superb venue for racing and a fabulous day is guaranteed with bankside entertainment, music, food and fun activities for all the family. Enhanced Gold and Silver entry packages are also available for those teams wishing to increase their profile at the Festival whilst raising funds for Age UK Milton Keynes. Pick up an entry form from MKFM Reception at intu Milton Keynes or download it here. You can also check out more details on the official event website here and we'll see you there!